Beautiful Wedding Dress with V-Shaped Backline. 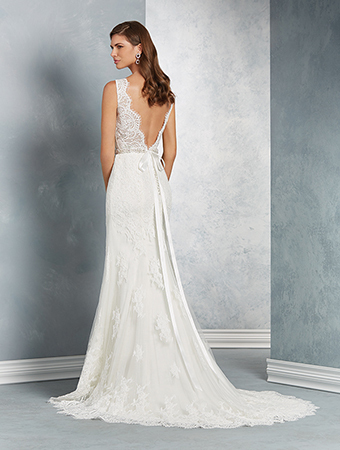 Classic and lovely in Chantilly lace, this affordable wedding gown features a dramatic, V-shaped front and backline. 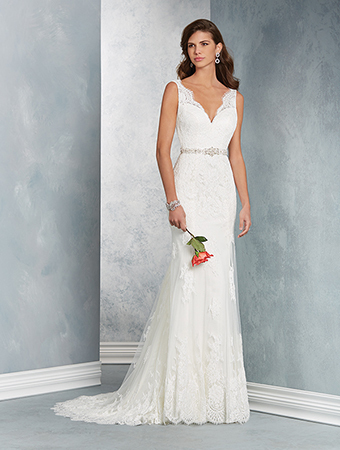 A sparkling sash at the waist flows into the softly flared skirt.